Ms. Beth grew up in Milwaukee, Wisconsin. After learning to play piano and ukulele in elementary school, she moved on to upright bass in middle and high schoo, and sang in the Varsity Chorus at Marguette University. Ms. Beth earned a B.A. from Marguette in education, and sang her way through raising three children as a stay-home mom. After spending 20 years in charlotte, Ms. Beth went back to work part-time as a teacher at Gymboree Play and Music. Her passion is singing and spending time with famillies of young children. 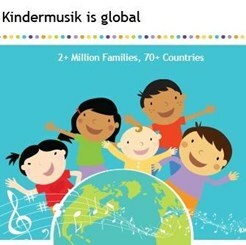 Ms. Beth's Kindermusik class provides a relaxed enviromnment for parents and children to connect musically.Parents and children can explore, develop, adn learn through the joy of music and movement. Request Lessons with BETH today!